As Managing Director of Compass Municipal Advisors, LLC, Mr. Nurick has over twenty years of experience in the field of public finance. Over his career, he has financed over $13 billion in municipal debt, bringing extensive quantitative experience in developing innovative financial strategies. The focus of his efforts, on behalf of the firm's clients, is to formulate the optimum financing solution for each individual issuer while also increasing demand for an offering to achieve the lowest the cost of borrowing for the structure. Mr. Nurick oversees many of the firms largest, complex engagements and directs the firm's work with the rating agencies, credit enhancement providers, underwriters and commercial banks. He has assisted numerous issuers, both general obligation and revenue backed, to upgrade their credit ratings, in part, by developing financial policies and debt programs which address specific components of rating agency methodologies. Mr. Nurick resides in Lexington, Kentucky with his wife and two children. He is active in Paul Laurence Dunbar High School and Lexington Football Club youth soccer programs. Mr. Nurick is a graduate of Morehead State University with a B.A. in Business with an emphasis in Finance and currently serves as a member of the Morehead State University Foundation Board of Trustees and Finance Committee which manages a multi-million-dollar endowment investment portfolio. Mr. Gallagher serves as Director at Compass Municipal Advisors, LLC, and as local relationship manager. 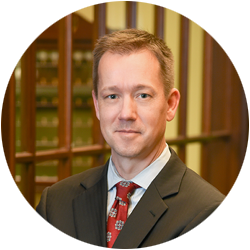 Mr. Gallagher has more than fifteen years of experience in the industry, specializing in municipal structuring for local school districts, governments, water and sewer financings, and higher education financings. In addition to providing the quantitative analyses on these engagements, his responsibilities have included review of legal documents, drafting of the official statement and the notice of sale, preparation of presentations for rating agencies and communication with issuers, bond counsel, underwriters and investment bankers. Mr. Gallagher received a B.S. with concentrations in Business Administration and Finance from the University of South Carolina. Mr. Damron, Director, has more than 20 years of experience as a Financial Advisor serving South Carolina local school districts and local governments with a broad background in public finance including specific experience in general governmental finance and revenue-based financings, including water, wastewater, and lease financing arrangements. Mr. Damron also served in the Commonwealth of Kentucky General Assembly for 22 years, bringing a unique viewpoint to municipal finance. In this position Mr. Damron worked with financing professionals to identify legislative agendas which would benefit or be adverse to state and local governments. Mr. Damron holds a B.A. in Accounting and a M.B.A in Business Administration from the University of Kentucky. Keith Brock, Senior Vice President, has over 18 years of experience in public finance. His experience includes municipal finance, corporate trust, sales, underwriting and trading. 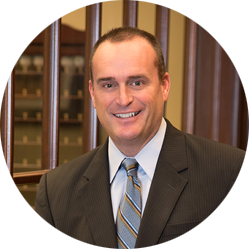 He specializes in providing financial advisory services to Kentucky’s cities, counties, special taxing districts and not-for-profit organizations. Mr. Brock has expertise and experience in a variety of debt structures including General Obligation Bonds, Certificates of Participation, Revenue Bonds, Leases, Special Assessment Districts, Tax Increment Financings, Qualified Zone Academy Bonds and New Market Tax Credits. 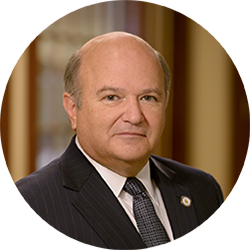 Throughout his career, Mr. Brock has been involved with over $4 billion of debt issuances and has served as Municipal Advisor or investment banker on over $1 billion. In addition, Mr. Brock has extensive analytical knowledge that includes structuring and sizing fixed and variable rate new money and current and advanced refunding issues. Mr. Brock is a graduate of the University of Cincinnati with a B.B.A. degree in Finance. Mr. George serves as Senior Vice President of Compass Municipal Advisors, LLC, and a senior quantitative analyst. 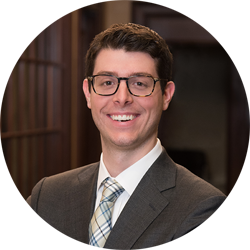 Mr. George's responsibilities include analyzing and producing financial reports and capital plans, debt modeling and cash flow analysis, as well as communication with rating agencies, underwriters, bond counsel other financial professionals. 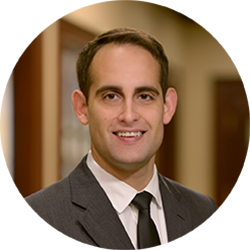 Mr. George has extensive experience in a wide variety of tax-exempt and taxable financing structures including general obligation, revenue, lease appropriation and certificates of participation. He has served as program administrator for several large pooled financing programs, which have lowered capital costs for municipal issuers through economies of scale and credit enhancement. In his career, Mr. George has been in involved in over $4 Billion in transactions. Mr. George is a graduate of the University of Kentucky with a B.A. in Business with an emphasis in Finance. R.J. Palmer, Senior Vice President, provides municipal advisory services to cities, counties, water/sewer districts, health districts and other special taxing districts throughout the Commonwealth of Kentucky. Mr. Palmer’s experience includes a variety of financing structures and investment strategies. Until 2015, Mr. Palmer served as a State Senator representing Senate District 28 which includes Clark, Montgomery and a portion of Fayette Counties. In 2010, Mr. Palmer was chosen by his colleagues as Senate Minority Floor Leader. Prior to his Senate post, Mr. Palmer served in the Kentucky House from 1999-2001. He received his B.A. from Transylvania University and M.B.A. from Eastern Kentucky University. 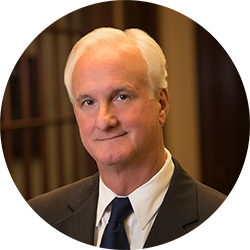 Mr. Greg Phillips, Senior Vice President, has served in the public finance industry for over 34 years and has participated as municipal advisor or investment banker on over $10 billion in municipal bond offerings. Mr. Phillips has served as Financial Advisor or Investment Banker for more par value of municipal bond offerings than any other Kentucky based public finance professional in the history of the Commonwealth. 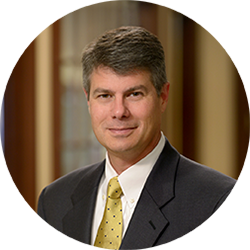 Mr. Phillips’ extensive expertise in public finance includes debt structures for a variety of entities including secondary schools, public power, public higher education, and general governmental issuances. Mr. Phillips graduated with honors from the University of Kentucky with a BBS degree and with high honors from the University of Kentucky’s MBA program. Mr. Phillips also attained his CPA while working in public accounting, prior to beginning his career in the public finance industry. Louis Ragusa joins Compass Municipal Advisors as a Vice President and quantitative analyst. 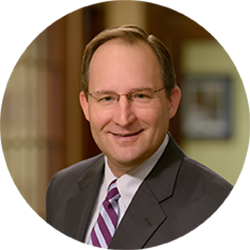 Louis’ responsibilities include developing capital plans, debt modeling, cash flow analysis as well as corralling key constituents such as rating agencies, underwriters and bond counsel. Mr. Ragusa is an enthusiastic financial professional that brings extensive experience after years of commercial banking where he underwrote and managed numerous $200MM+ leveraged buyouts within the healthcare space. Louis is also a proud graduate of General Electric’s Financial Management Program (“FMP”). FMP is an immersive executive leadership program that develops unparalleled technical and financial acumen through coursework, intensive job assignments and interactive seminars with GE’s top financial minds. Mr. Ragusa earned his BBA in Finance from the University of North Texas. 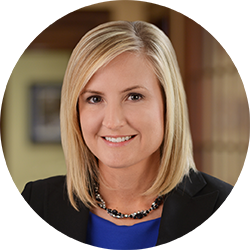 Erin Williams joins Compass Municipal Advisors as a Vice President assisting the local government community in accessing the financial markets to fund various capital needs and refinance existing debt issuances.Ms. Williams brings more than 9 years experience working closely with school districts and local governments in Georgia and South Carolina in the Enterprise Resource Planning (ERP) software space. This experience provides a unique perspective in the integration of a complex financing plan within an accounting platform. Ms. Williams received a B.S. degree with concentration in Business from Appalachian State University. 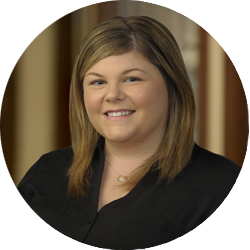 Cortni Burke serves as the Executive Assistant to the Managing Director of Compass Municipal Advisors, LLC. Mrs. Burke provides day-to-day project support assisting school districts and local governments with negotiated and competitive bond sales. Serving as a point of contact for professional services including paying agents, bond counsel, underwriters, and rating agencies, Cortni helps to coordinate bond sales and closings while adhering to compliance, regulatory and industry regulations. Mrs. Burke manages office expenses, corporate contracts, and relationships with third party firms. She is also responsible for scheduling and organizing meetings, client events, and conferences, as well as preparing correspondence, presentation and marketing materials, invoices and expense reports. Prior to joining Compass Municipal Advisors, LLC, Cortni worked at a publicly traded Wall Street firm based in Dallas, Texas. Mrs. Burke is a graduate of the University of Texas at Dallas with a B.S. in Public Administration. 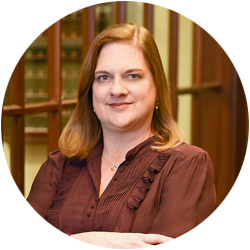 Linda Melton, Senior Assistant, has more than 15 years of experience assisting counties, cities, school districts, special taxing districts and other political subdivisions issuing municipal bonds and leases. Ms. Melton serves as the liaison for professional services involved in the bond issuance/leasing process, including trustees/paying agents, rating agencies, bond counsel as well as the issuers. Ms. Melton received a B.A. in Business Administration from the University of Kentucky.